Christopher Kennedy says he will be back to create another amazing event when Modernism Week marks its 10th anniversary in February 2015. 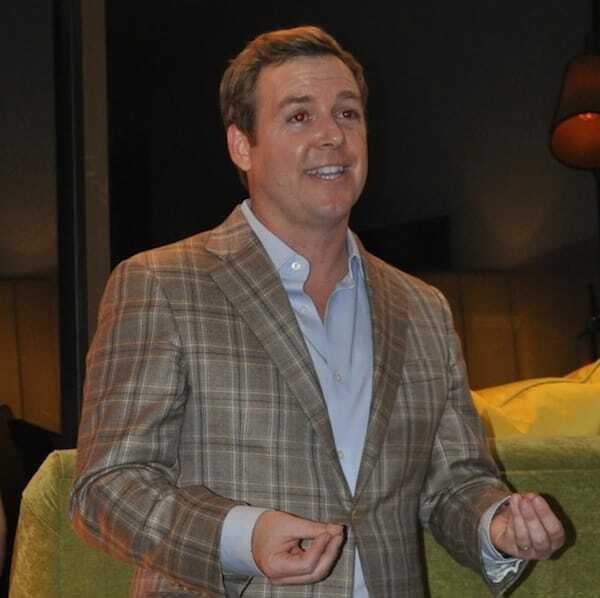 Kennedy, who recently opened his own interior design boutique in South Palm Springs, showcased one of the most talked-about home makeovers during last year's Modernism Week. The Christopher Kennedy Compound took a Stan Sackley home from the early 1970s in the Indian Canyon neighborhood and re-imaged it thanks to Kennedy and his A-list of designer friends from his Southern California connections. Last year's cast included Celerie Kemble, Jiun Ho, Trina Turk, Lori Dennis, Patrick Dragonette, Sammy Castro, Ron Woodson and Jamie Rummerfield. Expect many of the same names to step forward for the 2015 event. More details will be coming out shortly. Kennedy's boutique opening also gave the designer a chance to be sworn in as president of the Palm Springs chapter of the American Society of Interior Designers along with his fellow officers, and to offer a parting gift of a modernistic looking ice bucket to outgoing president Troy Zimmerman. 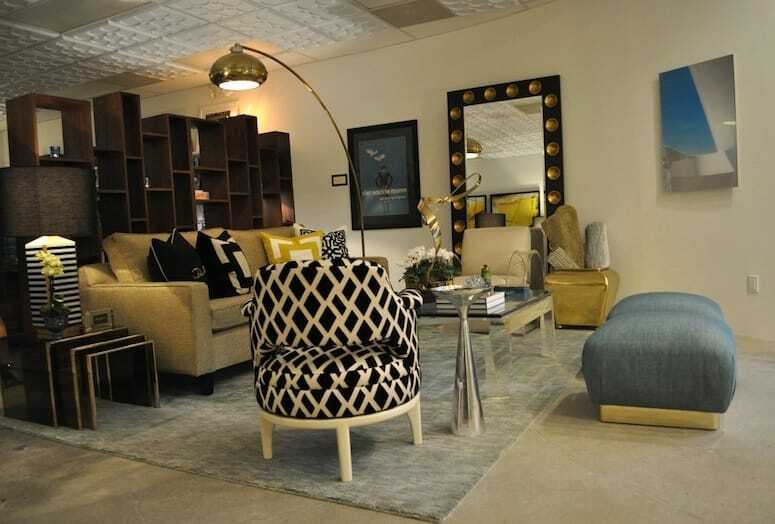 The main room of the Christopher Kennedy boutique in Palm Springs. 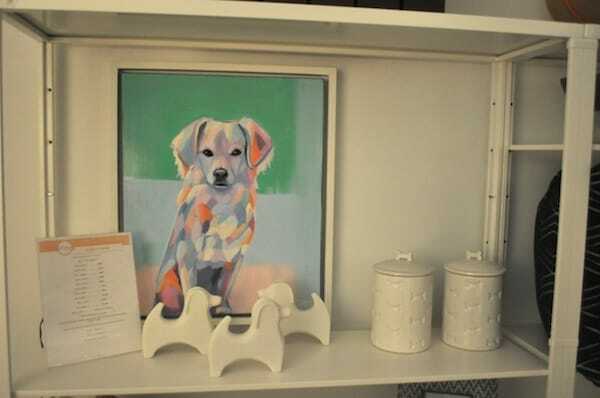 Patrons can have dog portraits done as part of the offerings at Christopher Kennedy's boutique. 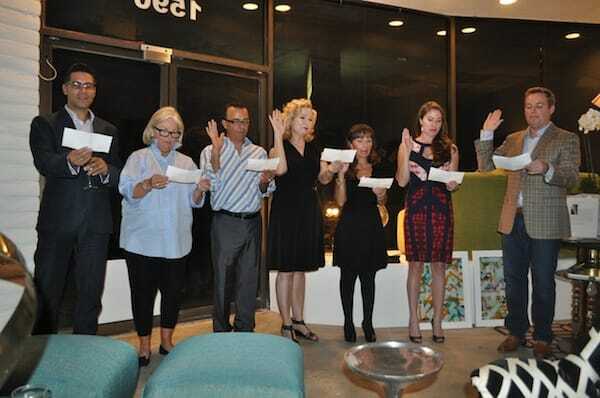 Christopher Kennedy (far left) and his fellow officers of the Palm Springs chapter of the American Society of Interior Designers are sworn in. 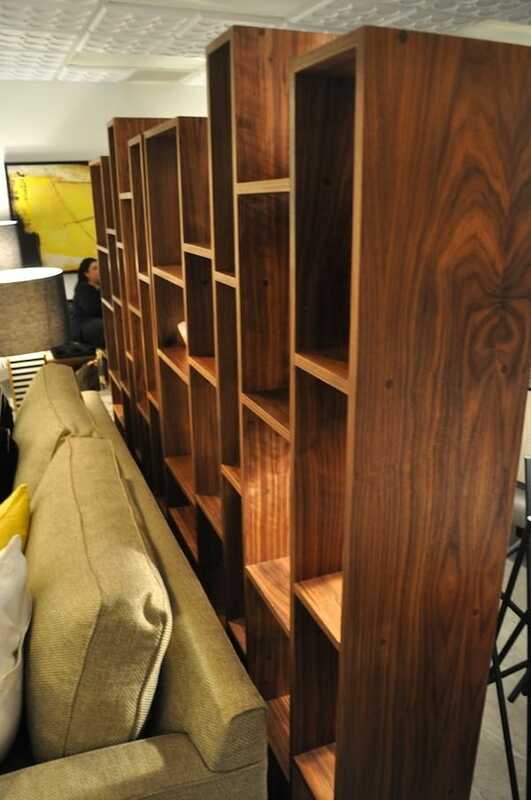 An interesting wooden case at Christopher Kennedy. 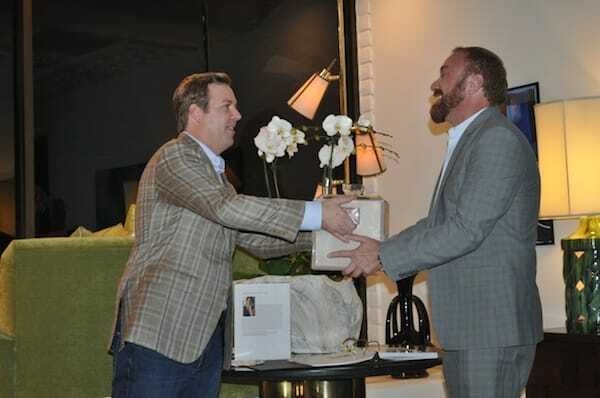 Christopher Kennedy gives a parting gift to outgoing president Troy Zimmerman of the Palm Springs chapter of the American Society of Interior Designers. 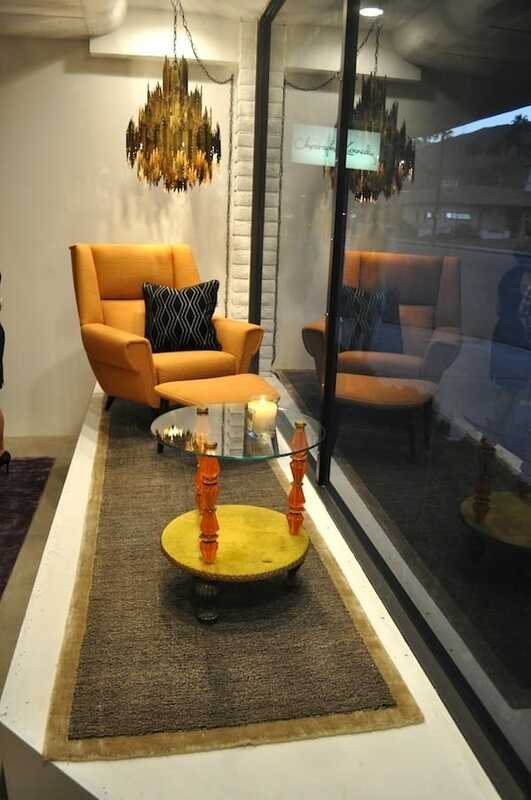 One of the office areas at at Christopher Kennedy. 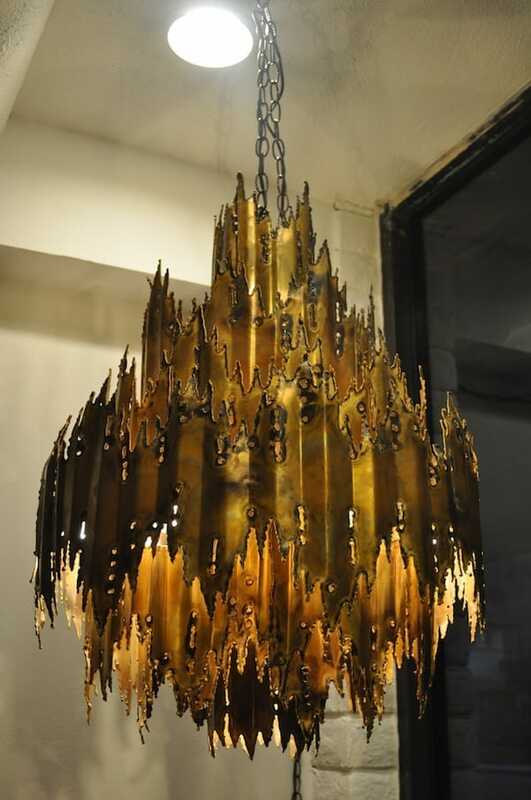 An elaborate lighting fixture at Christopher Kennedy. 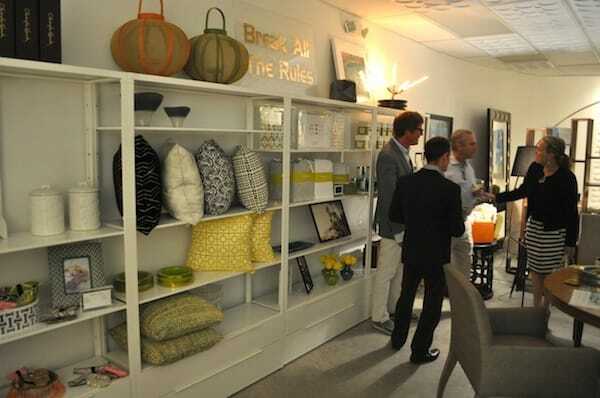 Christopher Kennedy talks during the opening of his South Palm Springs boutique on Oct. 23. 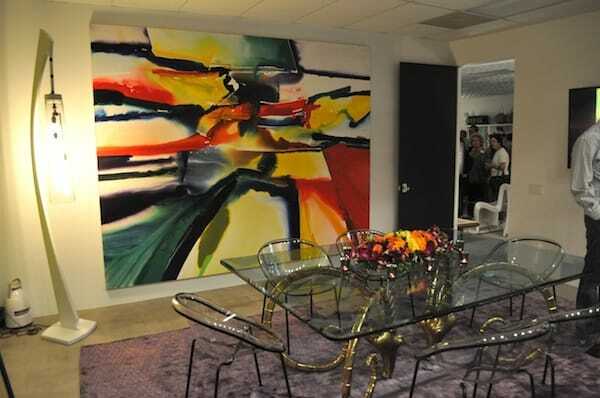 A meeting room at Christopher Kennedy. A front window display at Christopher Kennedy.